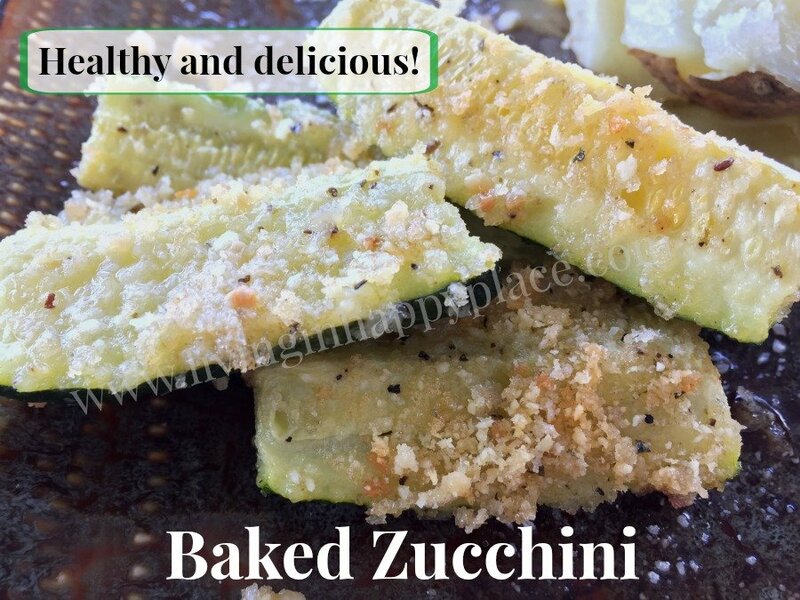 Looking for a healthy, tasteful, baked zucchini recipe to start using your summer zucchini? Here is a super easy way to get more veggies in your diet in a delicious way! 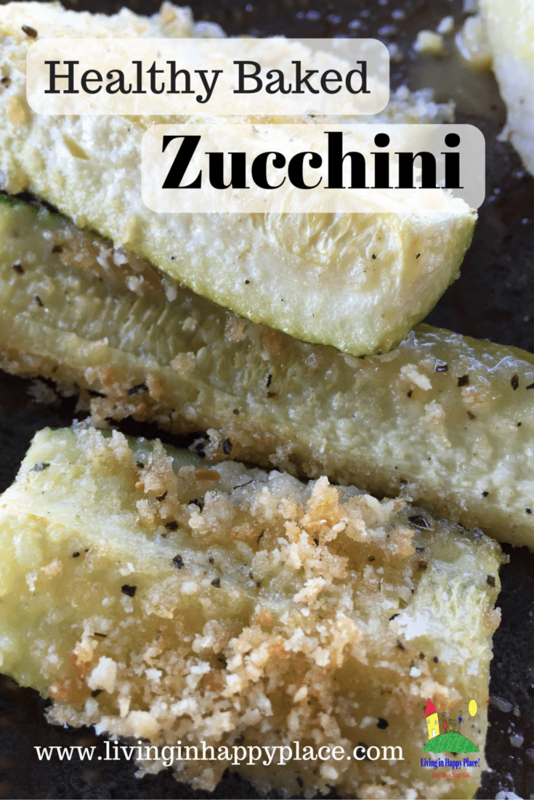 The most popular recipe on this blog, hands-down, is the recipe for buttery, Parmesan zucchini. 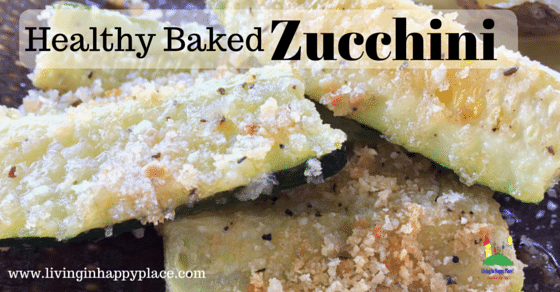 I wanted to give you a healthier option for a zucchini side dish with less butter. 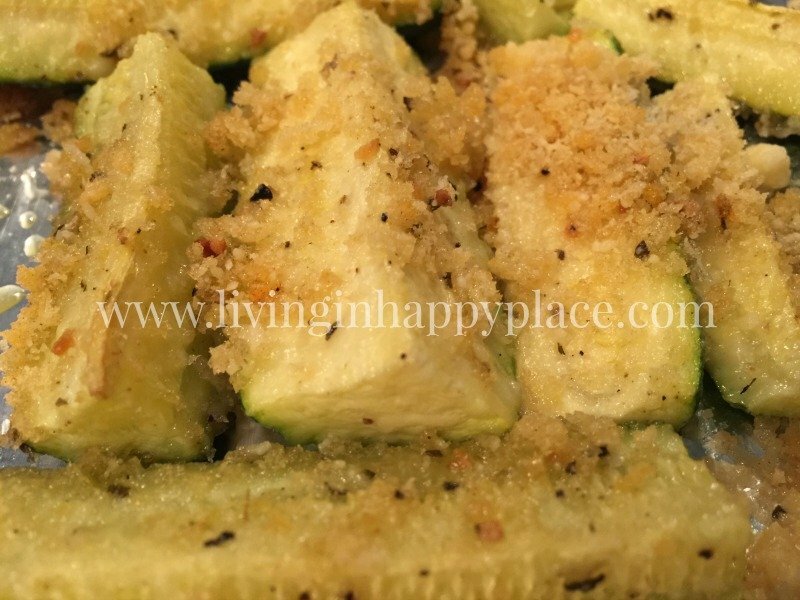 This recipe uses Olive Oil (a healthy fat) and zucchini itself is a very low calorie food high in vitamins C & A, lutein, and magnesium (from livestrong.com). As with nearly all of my recipes, ingredient amounts can be modified to taste without greatly changing the outcome. I’m Italian and I am not big on measuring. My great-grandmother left us all of her recipes written as “a pinch” of this and “a dash” of that. Now that I experiment with my own recipes, I get what she meant. Food is more than just nourishment. It is celebration. It is family time. It is tradition. Love is poured into meals by the cook for her/his diners. Great recipes are born out of experiments (and some epic fails). All make for a good story and a great history. I bet you have a favorite family dining moment that happened over a Sunday dinner or “that time Grandma tried to show you how to replicate her secret recipe for spaghetti sauce”. I clearly remember the first time I attempted to make Nunny’s sauce. It was a milestone in my life (for both me and my Italian mother- but that is another article ;)). Slice zucchini into spears. Prepare baking sheet by covering in foil. In a small bowl, add olive oil, pepper, garlic powder, and onion powder then mix well. Toss spears in oil/seasoning mixture until well coated. Lay each spear on baking sheet. We would love to hear your treasured cooking memory. 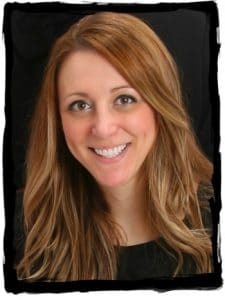 Please leave a comment and share your special story!